If you’re looking for a full financial makeover, you’ve just found your inspiration. 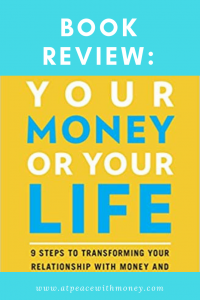 Vicki Robin, co-author of Your Money or Your Life, is also known as the mother of the FI (Financial Independence) life. She is a talented writer and a renaissance woman in her own right. I was interested in reading her book after hearing her podcast interview with Paula Pant. Though the book was originally published in the 90’s, a fully revised edition was released earlier this year. This is a great book if you’re looking for a guide to help you really examine your life and your finances. 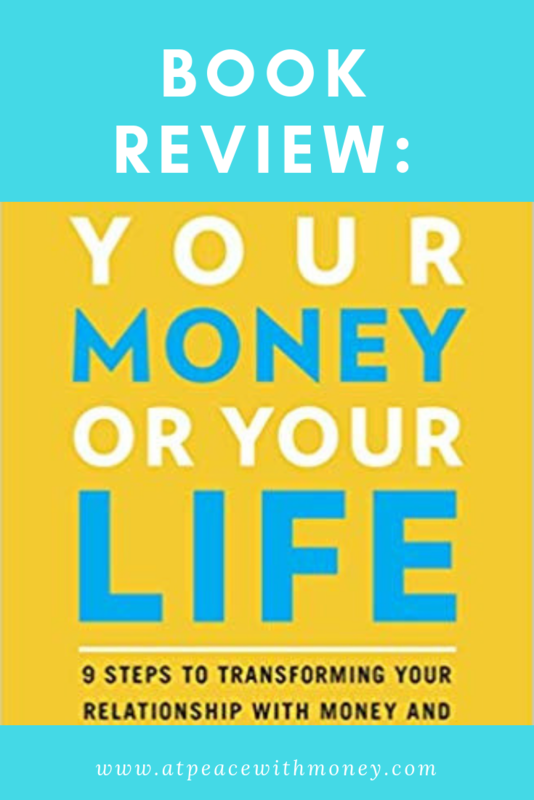 The book includes lots of thought provoking exercises and insights around leading an intentional life and being intentional with your money. It prompts you to go through your beliefs around money with a fine-tooth comb, and includes a lot of advice and guidance for doing so. One such nugget of wisdom is the mantra “no shame, no blame.” Vicki brings this up when asking us to examine our financial pasts. 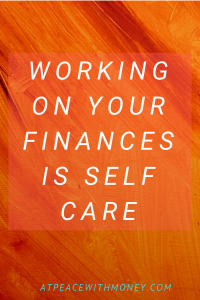 This is very important advice for anyone trying to remake their financial life. We can’t change our financial pasts, but we don’t need to stew and feel bad about them. The best thing we can do is move on and take action to enhance our financial futures. This mantra helps us remember that instead of being distracted by our past mistakes, we should look forward and act now. Included above is another nugget of wisdom. The chart indicates the sweet spot our finances can allow us to live in without letting our jobs and our need for income control us. 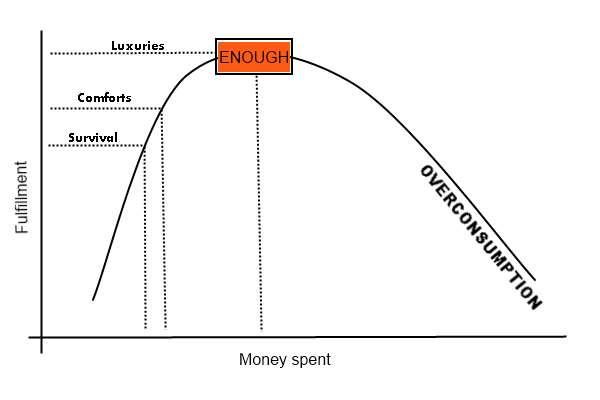 This is marked by the top of the chart labeled “enough.” The writers explain that to achieve FI, we need to find our own “enough” zone, a place where our financial needs are sustainable and satisfying. In our culture of material excess, this is a very profound point. This insight alone can easily revolutionize your financial outlook! I definitely recommend taking a good deal of time to read this book and do the steps. It is chock-full of information. Especially if you’re new to the world of FI, each chapter takes a while to absorb. Don’t let that intimidate you! With serious commitment, this book can change your financial life. If it sounds intriguing, please check it out. I also recommend having a look at the book’s website, it includes a lot of other helpful tools and resources if you want to get started! When I see the words “money mantra,” I am instantly a little skeptical. 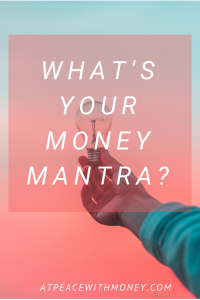 People often confuse money mantras with affirmations – statements like “money comes easily and abundantly to me.” There is nothing wrong with affirmations, but they are not the same as money mantras. Affirmations are what you intentionally tell yourself for 5 minutes in the morning as you get ready for your day. You may or may not repeat them for the rest of the day. In contrast, your money mantra is what your actual belief is throughout the day as you make money and life decisions. Think of it as your guiding principle in financial matters. It is rooted deeply in your belief system and affects all your money decisions, big and small. I uncovered my mantra almost instantly: “having money in the bank gives me choices.” I think this mantra even helped me come up with my business name; having choices gives me a sense of peace. This statement is a basis for my daily decision making process and in my plans for the future. If I say “no” to one decision I can say “yes” to something else. Being able to choose what to say “yes” to is important to me. I want to able to say “yes” to making charitable donations, to supporting artists, to paying for my daughters college, to my husband retiring early. You can discover your own money mantra by investigating your beliefs around money. Do a little soul searching and ask yourself some questions about your positive and negative thoughts and ideas around finance. 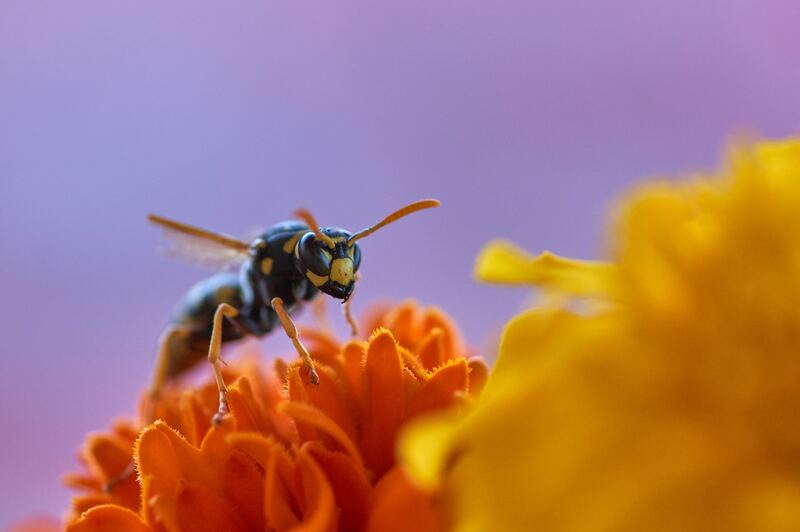 This list of 20 questions should help get you started. This activity can be done solo, or with a money buddy or partner! Once you’ve investigated your beliefs, some positive statements that you can use as your mantra may start to pop up. 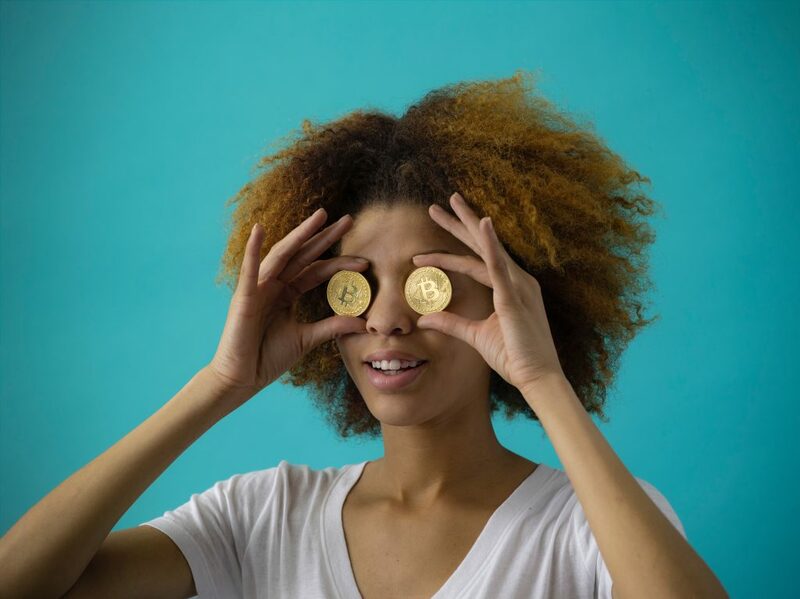 If you find you don’t have a lot of positive beliefs around money, do some digging to find a mantra that feels true enough for you that you can start operating with it on a daily basis. Incorporate it into your money decisions and see if you can track your progress. Make sure your mantra is guiding you in the financial direction you desire. I desire choices – what do you want from your money? A money mantra simplifies financial decisions and helps you create a personal financial philosophy. Uncovering one is in itself a helpful process that can help bring financial clarity to your life. Happy soul-searching! May peace be with your money. 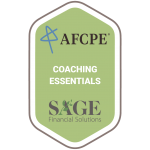 If you’re finding you need some financial guidance with your business finances, check out my services page or schedule a discover call.